Is Gemiflaoxacin paleo? What about cough drops? 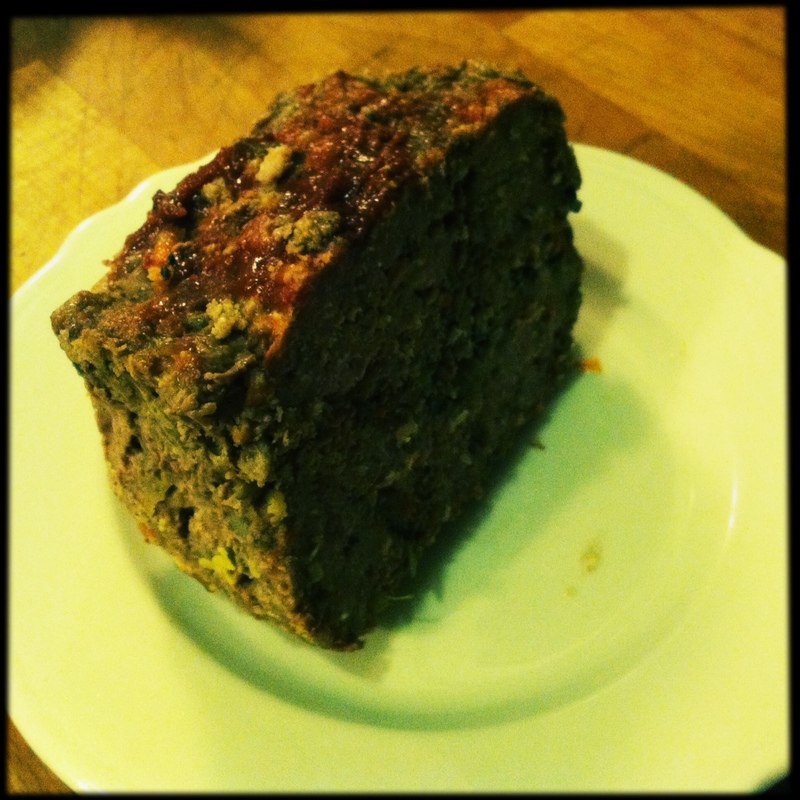 I examined my delicious grain and sugar-free lunch of meatloaf and cabbage (not as boring as it sounds) and thought about the cough drop and antibiotics I had ingested earlier in the day. I’m pretty sure neither were hunted or gathered. coconut oil or bacon fat for cooking. Preheat oven to 300. Mix half the catsup with the vinegar in a small bowl, set aside. Cook onion in coconut oil or bacon fat for 3 min. Add mushrooms, cook for 3 more minutes. Turn off heat and add carrot and zucchini. (and a splash of sherry if you have it) Stir to combine, let cool. Mix meat, egg, veggies, catsup, Bragg’s, spices and garlic together with your hands. Stuff into a glass loaf pan and set it on a cookie sheet. Once it’s in the oven, turn it down to 275. After 25 min, remove and drain off some fatty liquid if necessary (mine was so lean nothing came off). Spread catsup/vinegar mixture evenly over top and return to oven for 20min. Raise heat to 350 for the last 5 minutes, then turn the oven off and let it coast while you make a salad, set the table, dress for dinner, and light candles. Its meatloaf, for Pete’s sake! 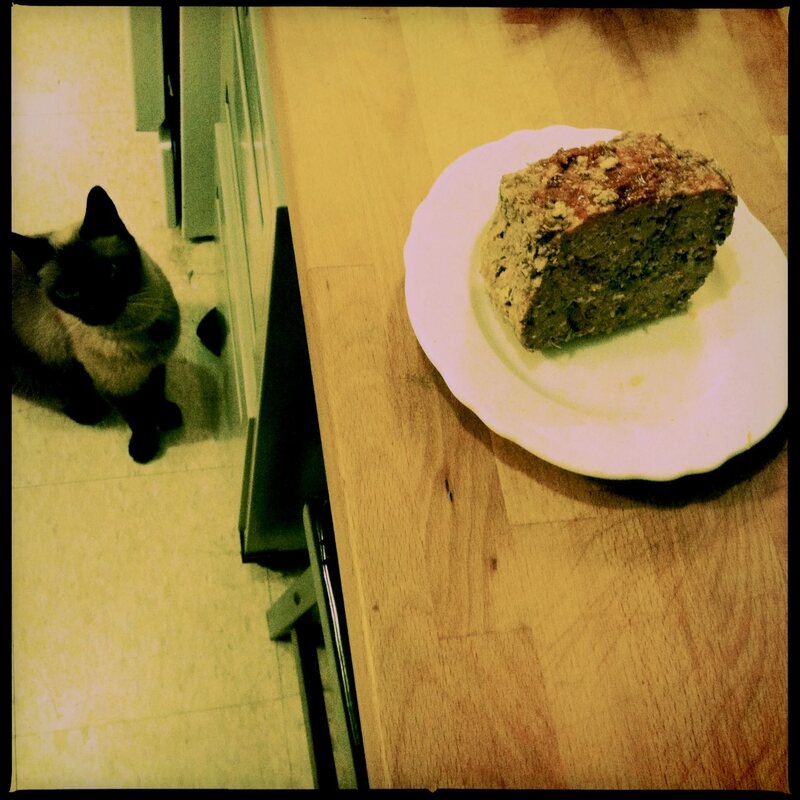 That cat wants your meatloaf.